On a balmy February evening, the Reds played in front of a decent crowd at their spiritual home, the sad old man of rugby, Ballymore. They lined up against perennial powerhouse the Chiefs. With both sides being relatively young, would a high scoring encounter be on the cards? Join me for something of a stream of consciousness observation of the game. (Like the teams, I’m saving my best stuff for the season proper). – The Reds appeared to be pretty close to full strength, bar JP Smith and Izack Rodda in the forwards. The backline looks like Thorn is trying to play big, with Kerevi and Feauai-Sautia in the centres. – A pretty decent crowd, who by half time resorted to ordering pizzas given there was only one food van operating. Officially announced as 4,821. – From very early on it was clear the Chiefs were trying to exploit the size of our backs and trying to turn them around where possible. This ended up being a pattern through the entire match, with Feauai-Sautia in particular being targeted. I fear good teams will do this all season if this is the style Brad Thorn wants to play. – Chiefs score early through Stevenson from a kick chase that went in behind the backs. Conversion makes it 7-0 after three minutes. Another try in a similar vein after 9 minutes through Sullivan and the Reds were already 14-0 down. My poor heart sank. – Through the first ten minutes, the Chiefs were on another level, rushing up on defence and giving Stewart fits. The Reds had no time in attack and at one point had nearly 15 phases and went no where. The Reds looked sluggish and out of sorts, lacking combinations, which was odd given that bar Hegarty, the whole team had played together in NRC or Super Rugby. – It was good to see the Reds scrum dominate again, as it has done over the last few years. At one point they had won four straight penalties and had the Chiefs loosehead given a yellow. A fifth penalty soon casme, but yet another handling error meant it all came to naught. – Having Dave Alred working on the kicking seems to being reaping results- the exits seemed much more organised than in years past, and in the first half at least, kicking in general play was at least followed with a good chase. – The rest of the half was a bit of a shambles. The Reds dropped ball after ball after ball, with no one player sticking out here. 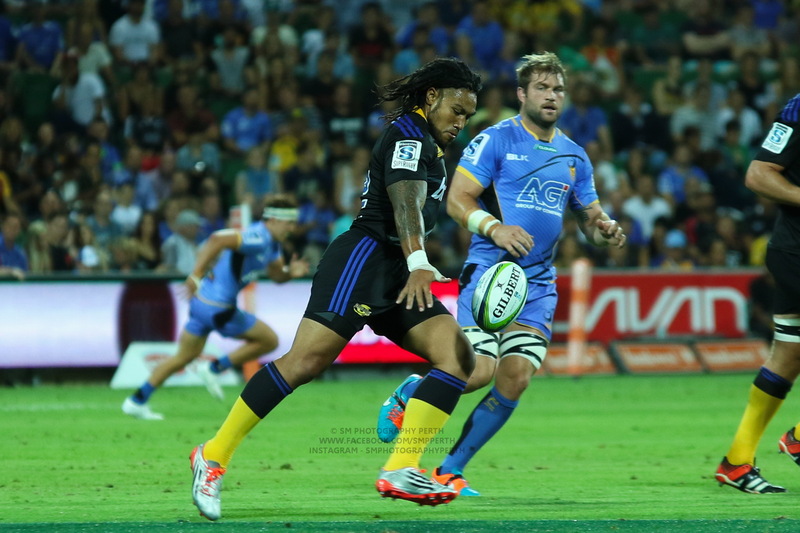 Only some committed defence and Chiefs errors kept the scoreline where it was. – Halftime arrived and Brad Thorn must have been rummaging around for the sticky spray. At least he would have had plenty of feedback to give the team. – As is the case in a trial, the second half brought the changes, the entire front row for the Reds came off, as did Moses Sorovi just before the half to an injury. – The lack of pressure the Reds were creating at the breakdown was a real worry. The openside spot could be one of the Reds real weak spots this season. 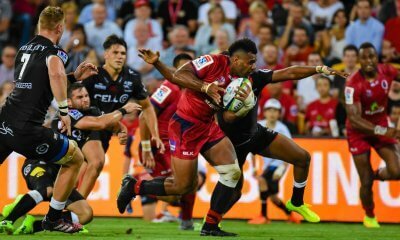 – The Reds backs will be having nightmares about the Chiefs kicking after tonight- time after time they were forced to track back and scramble out of trouble. – It looks like Thorn found the sticky spray at half time, passes started to stick and things looked a little more coherent. The Chiefs replacements looked like they were also pressuring the playmakers a bit less, and the introduction of Paia’aua to inside centre probably put them in two minds a bit. – In the 49th minute, some sustained ball allowed a rumble downfield which won a penalty near the Chiefs line, from the ensuing scrum, a few plays later Harry Hoopert barged over and converted by Hegarty it was 14-7. – At this point, the kicking went back to old habits, and after about four aimless kicks to the Chiefs backs with no pressure, it even sounded like a few boos were ringing out of the crowd. At a trial? Have some decorum people! – After some more scrum penalties down the Chiefs end, after the third one, Tate McDermott cleverly took a quick tap when the Chiefs were clearly expecting another scrum. He darts over, conversion by Daugunu and all of a sudden it is 14 all. – Just four minutes later, the Chiefs score again from a kick, this time Naivalu got dragged too far across in defence, and a kick pass to Tyler Campbell unmarked made it 21-14 when Stevenson slotted it from out wide. – With less than ten left, Jack Hardy makes a nice break down the left, backed up by Ruan Smith who neatly played a show and go and got over in the corner. Daugunu missed the kick and the game came to an end with the Chiefs winning 21-19. – Ill discipline still an issue. Too many silly ruck penalties given away. – The attack looked more balanced with Paia’aua at 12. I’m not sure Stewart will cope with being the sole playmaker and having him outside gives more options, and makes us more agile in defence. – Better pressure at the rucks are a must. A really good seven will eat the Reds alive, as the first half especially lacked accuracy in the attacking rucks. – If the ball is treated with the respect it was in the second half, then the Reds will be a decent outfit. I’m not sure the Chiefs will be close to the top NZ side but the first half especially they dominated things. – I know it is just a trial but the Reds looked a bit tired and flat. I am hoping they haven’t been tapered out by Brad Thorn yet, given they don’t play until Round Two and that they will look fresher in a few weeks. – Defensively the team was solid, bar the inability to defend kicks in most of their forms. 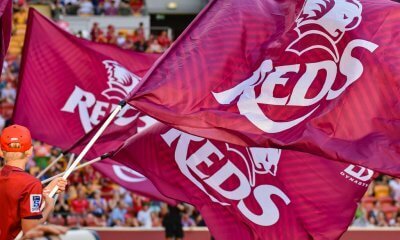 – Best players for the Reds in my view- Tate McDermott did well, as did Duncan Paia’aua in the 12 spot. The scrum in both halves was a clear highlight, and should be the basis of a decent platform again in 2019. Overall: I know it’s a trial but the re-emergence of bad habits was a concern. Discipline, pointless kicking and poor hands all featured and that will certainly still give Brad Thorn some food for thought before the first game. Re the supersized centres, it is at least keeping with Thorn’s known MO of keeping it tight and controlling possession. I presume his intent is to give the opposition limited opportunities to mismatch the centres, which is a valid tactic when you have a good scrum and a couple of pilferers but always fraught with risk against a Kiwi team, particularly when your boys struggle to actually hold onto the ball. If there’s just one aspect of the game that would help Thornball achieve some success that’d be it IMO! I thought Hamish Stewart looked better in the 2nd half, maybe due tot the presence of Pauaia. He needs to find a running game though, it’s too easy for defence to slide off him and gang the outside runners. Bryce Hegarty looked OK at 15, and Caleb Timu was the beastly number 8 Australian Rugby needs. Reds showed some nice touches and for mine if he developed Lucas looked like the option at ten for a few years time. A fair bit of dropped pill from both teams and 3 tries all seemed a fair reflection of the game. If anything the reds asked a few more questions than the Chiefs particularly late in the game. Cheers Ben! 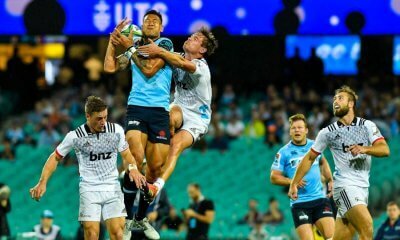 Observations from a relatively neutral observer (Tahs fan here). – Overall seems to be the same team/tactics as last year although evolved a bit and looking more cohesive. – Scrum still a monster. Almost to the point where I’d deliberately knock on. – Stewart can tackle and kick but that’s about it. Sure the Chiefs line was rushing up and he didn’t have a lot of protection from the pack but would have like to have seem more. – Tate > Sorovi. Looked like more energy and a more settled backline with him on. Could be it was the second half so the game opened up more but overall looked to have taken the cake. – Timu in beast mode is very promising. Will be a ding dong battle at 8 versus Naisarani this year. – Didn’t see a lot of Petaia out there which was disappointing. – Sefa needs to work on his positioning so doesn’t get turned around so often. – Hegarty looked good at 15 and I thought whist Stewart was on in the first half a more effective first receiver. Wouldn’t be surprised if he gets a start at 10 at some point. – As per Ben’s comments and others above; offensive ruck could be a problem. No top flight 7 and other forwards not making up for this. It’s a pretty technical business in and around the ruck and the Reds brawn won’t help there. Would have been nice to have George Smith or LFG. Even a Will Miller (big fan of his) or Richard Hardwick would be a great buy for the Reds. – Brums look fine tuned with an excellent pack and guys like TK and Banks humming. – Tahs still a relatively weak scrum but outside that some real firepower and skills. – Rebels on paper should be there but the trials showed set piece could still be a problem which will hamstring their all star backline. – Reds. Improvement on last year but the other teams in the comp haven’t stood still. In saying this I expect a very close Aus conference and I’m not very confident in my predictions above. Bring on the season proper! Good observations Huw. My running order is Tahs, Brums, Rebels, Reds. 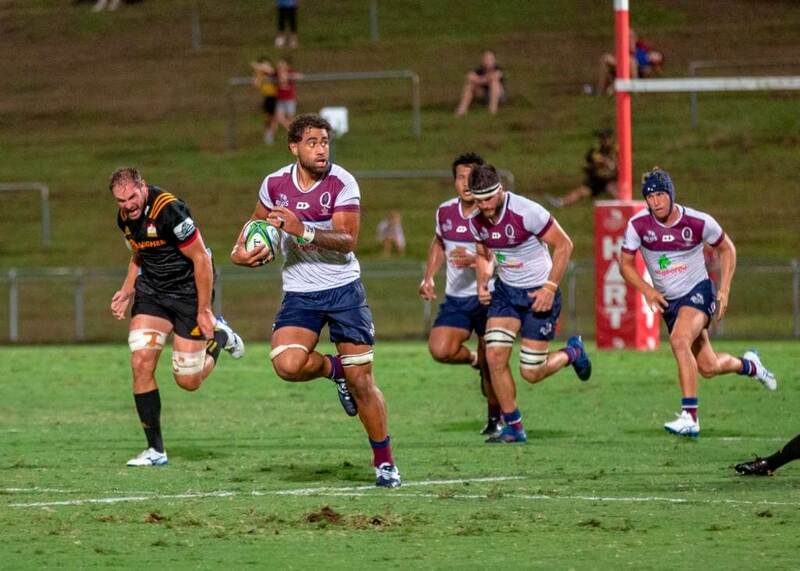 I think the Tahs have the smartest coaches and game plans built on speed of man and speed of ball movement. Only the resting plans can stop them from wining the Aust conference. 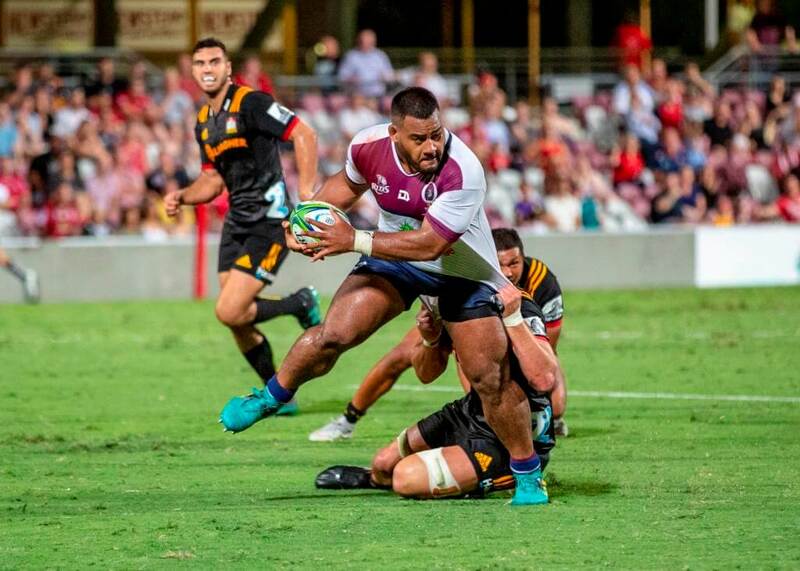 The Brums might beat the Tahs as they have the game for it but I dont think they will win the conference as their inside backs might need another season but I think they also have a smart coaching group. The Rebels forwards wont consistently deliver a go forward platform and their backs are just too slow to beat kiwi sides. Also Im a little underwhelmed by Wessell’s coaching. The Reds will also be too slow in both forwards and backs and the stubborn head coach will not retreat from his monster approach. Its possible McKay and Rhino have been sold a pup. We saw under Stiles and last season that a monster scrum does not win you super rugby games. You’ve got to wonder about Thorns strategic ability. I agree re Wessels IdiotS. He did ok with the Force under difficult circumstances but Rebels lasy year underperformed. Granted it was a fresh start for the squad and coaches etc so essentially building from scratch. Really is his year to shine. If the Rebels are so so again I can’t see how we’d still be lauding Wessels as the next big thing in coaching. Good write up mate, unfortunately the stream was geo-blocked to aus so I couldn’t watch it, it doesn’t sound like it was a spectator’s delight though. Thanks for the review Ben. Although on first read, I thought you might have just cut and paste one from last season. Adrian, I am thinking that you will need to make some reassessments before the Super season is over. Billy Meakes, the likely interim No 12 at the Rebels, is capable and will be more than an adequate stand-in until the Rebels get the best No 12 in the country available to play, Matt Toomua. The combination of Genia, Cooper and Toomua could kill it at the end of the year. 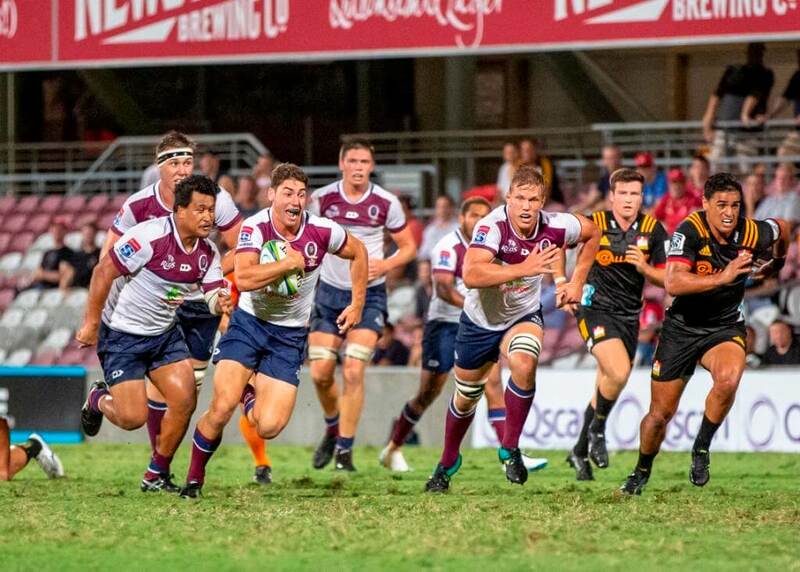 The Brumbies’ 9, 10,12 is coming together and with Simone filling the 12 spot and the team playing the attacking brand that McKellar is after, they will cause more than a few headaches for others during the year. I take it you don’t rate Joe Powell at 9, but he has the best all-round halfback play after Genia in the country and is more aware of how things are unfolding in a game than any of Phipps, Gordon or the youngsters coming through at the Reds. If you think the saviour, Hunt, is the answer to evertyone’s prayers at 12, have a look again at how Lausi Taliauli dragged him almost 5m to the tryline in the trial, and how (it seemed to me) that he made the wrong decision by trying to tackle Falau Fainga’a leaving his opposite (Simone) in the gap to score in the trial too. On trial form, both Simone and Wright, who could be the real star coming through this year, have had better starts to the season than Hunt. I expect Brums >/= Rebels > Tahs >/= Reds. Thanks BR, happy to be proven wrong if that happens. What I forgot to say was that I think all Australian SR sides will improve. Simone certainly could be anything. He was NRC player of the year in 16 I think. My view of Rebs is that they need speed of ball not just neat ball and good defence to bring their remaining 4 Wallaby wingers into play. Cooper will give that, but not sure Makes or Toomoua will. I think the main improvement at Tahs isn’t so much Hunt or AAC, it is Dempsey who didn’t play one game, and Holloway who only played a few. Naiyaravoro will be sorely missed. Yeah, have to agree on Holloway – one of the star performers in the trial and continued his good form from last year. Dempsey was good too when he was on the ground. The Tahs’ biggest weakness will again be the pack as a whole at set piece. Had the trial been a real game, there would have been one or two yellow cards coming out of the poor maul defense close to the line. Had that been the case, the winning margin to the Brumbies would have been significantly larger. Thanks Ben. I agree that the Reds look twice as lethal with DP at 12. It looks like Thorn is hell bent on repeating his mistake of last season. The result of the 6 matches Samu played at 12 last year was less than 2 tries a game and the outside backs were not brought into the game. I have seen Samu start at 12 in 6 test matches as well and with the exception of Japan where he was too big for his opponent all his other performances were ordinary. His showing at 12 on the spring tour against England and Scotland was diabolical in both defence and attack. By contrast his performances at 13 have been excellent. I know a lot of people wish he was a 12 but there is no evidence from the last 12 test and super rugby matches that he can be an effective 12 for the team. He is not a good enough game reader and is too limited in options and too slow over the first 3 metres (an observation Knuckles made that I agree with). Unfortunately DP is leaving so there is little future in playing him at 12 so I fear the Reds outside talent will be under utilised this season. DP is an opportunity missed. In 2017 DP at 12 and and Samu at 13 were the premier centre combination in the Aust conference. Beale and 2 Dads didnt play that season. They could have developed their combination last season to the point where DP might have been picked for the spring tour and may not have opted to leave. Thorn is really responsible for DP leaving. 12 is the fulcrum of the backline. Without the right person there the strike power of Daugunu, Petaia, Naivalu, and Hegarty wont get enough space or action. If I was Stewart Id be throwing a lot of cut out passes this season. DPA not part of the choir is he…got marginalized very early on. Too many “athletes” and not enough players with rugby finesse..? should ban kicking in trial games. Can’t score tries if you don’t have the ball. kicking is a really important part of the game (we won the 2011 premiership kicking the ball more than any other team). Need to practise it in game situation. Not really. Good kicking can gain you nett territory and build pressure. Who wants to throw a lineout on their own 5m line?